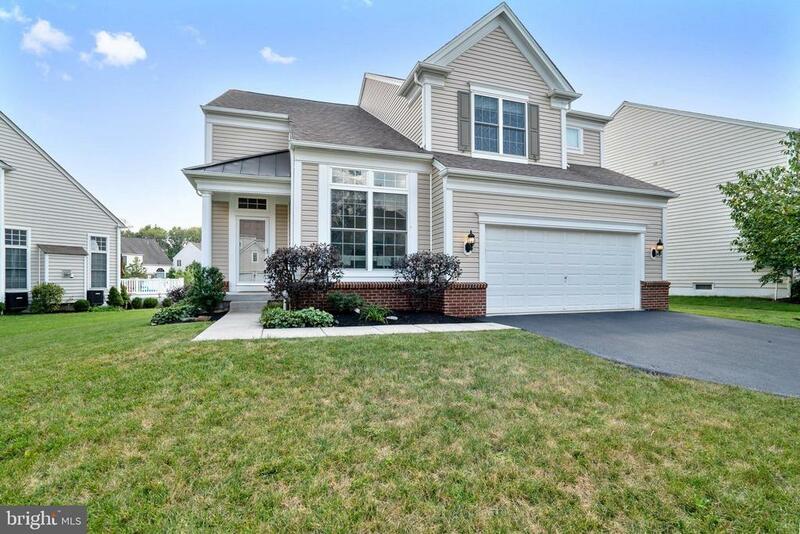 All Fountainville homes currently listed for sale in Fountainville as of 04/21/2019 are shown below. You can change the search criteria at any time by pressing the 'Change Search' button below. If you have any questions or you would like more information about any Fountainville homes for sale or other Fountainville real estate, please contact us and one of our knowledgeable Fountainville REALTORS® would be pleased to assist you. "As the sun rises on another crisp morning in Bucks County, Atlasta Farm stands tall the same way she has done for the last 187 years. 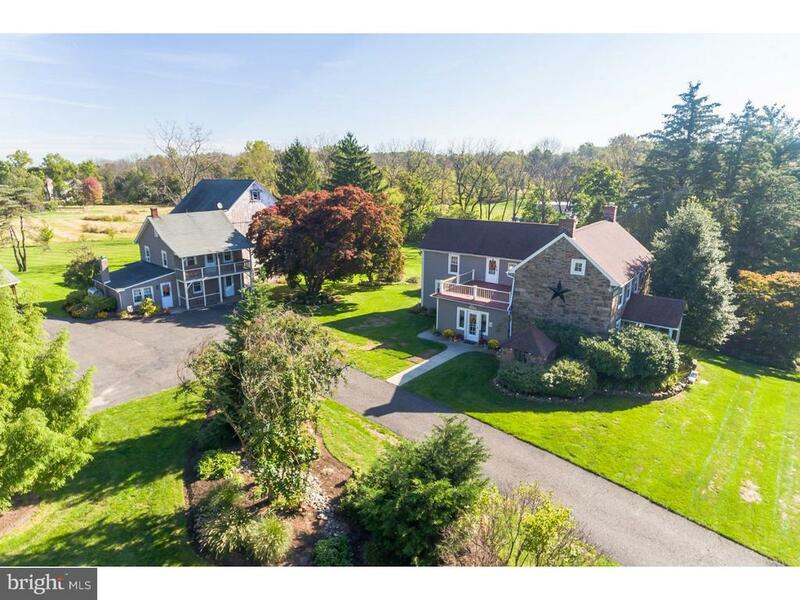 This distinctive 'Four Bay' Bucks County Stone Farmhouse is overflowing with timeless architecture that has been skillfully maintained by the current owners over the last 21 years. Glass door knobs, wrought iron hardware, dutch doors, and exposed stone walls embody the Farmhouse heritage while updates to the major mechanical systems alleviate worry (newer roof, windows, electrical, and heating). In addition to the Farmhouse, the homestead consists of just under 2.5 acres of artistically manicured property, a two bedroom Carriage House that can be used as a legal rental or an in-law suite, a period Bank Barn with the splendor and purpose of yesteryear, and a striking in-ground pool complete with a 1,000 square feet of EP Henry Paver Patio and its own heated pool house with a full bar and bathroom. This property will not only be loved by your family, but your guests will revel in the ambiance and unmatched respite. As the current owners say, 'When you love this home, it will truly love you back', so prepare to create memories that will be forever etched in your heart. You must visit this property to truly appreciate its excellence. Also listed as multi-family under MLS #7281103." "Proudly presenting this Gem in the Pennridge School District. Open Floor Plan that flows with elegance and Style! The house has a tremendous amount of upgrades. From Extensive Crown molding throughout to hardwood flooring. Upgraded Kitchen with Cherry Cabinets and granite counters. Magnificent Fireplace in the two story Family Room, High End Appliances and Butler's Pantry, recently updated powder room. Walk-In Closet in the Master Bedroom. Some of the other great features are a whole house humidifier, water softener, water purification system, smart home Lighting and Thermostat. The whole house features beautiful custom window treatments and lighting fixtures. The Basement was beautifully finished with a full bathroom and a gym. There are way too many details to mention. This is a must see!" "A++ condition Ashford model in desirable Bedminster Square!!! Two story foyer entry opens to front-to-back living and dining rooms which feature beautiful hardwood floors, shadow boxing, and oversized windows, creating a bright, happy atmosphere! Also accessible from the foyer is the private, sunny office with neutral carpet and vaulted ceiling. The hardwoods continue into the gourmet kitchen, which features neutral granite countertops, tile backsplash, stainless appliances and a huge island that overlooks the bumped out breakfast room with wall of windows. Sliders from the breakfast room open to Trex deck and paver patio. 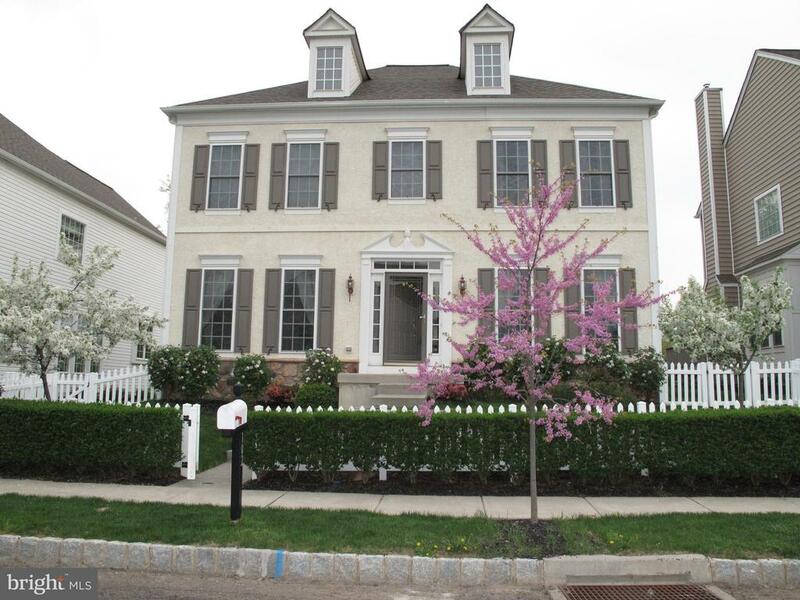 Convenient for entertaining, the kitchen opens to the large family room with granite fireplace. Powder room and laundry room round out the first floor. Upstairs, the large master suite features tray ceiling, neutral carpet, walk in closet, and full bathroom with stall shower, soaking tub, and double vanity with extra counter space. Three additional bedrooms share the hall bath, which has a tub shower combo and double vanity. A whole extra level of living can be found in the finished walk-out basement which has a large media/rec area, separate bedroom, full bathroom, and wet bar!! Neighborhood has playgrounds, basketball and tennis courts, and walking paths!"